Construction had begun on a much-needed student centre so the seminary could better serve its students, but due to a lack of funds, work had stopped for several years. 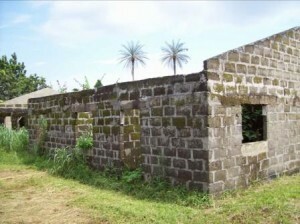 The exterior walls had been built, but the building still needed a roof, ceilings, floors, interior walls, windows, doors, wiring and plumbing before it could be put into use. Assistance was requested from NFW. 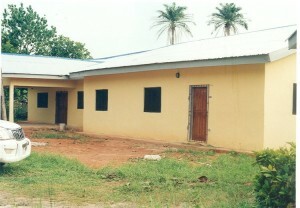 The completed student centre ready for use. Eku is located in the oil-producing delta area of southern Nigeria. Civil engineer and NFW volunteer Chris Strock inspected the unfinished structure in 2007 and saw that the construction was sound. Faculty member Rev. Thompson Jemifor, an experienced builder, served as the construction manager and organized all the purchasing and volunteer labor. Seminary students performed all the work, which was completed in May 2009, slightly ahead of schedule. Now the multi-purpose student center is the site of classes, assemblies, meetings and other campus gatherings, enhancing the experiences of all the students.